Let’s be honest, can you remember much about the many hotels where you have vacationed? Holiday villas instantly add a bit of “WOW” to your holiday experience. Here’s a 24 hour look at the many memorable moments a villa can offer for your next holiday. Sunrise – whether it’s having breakfast while still in your robe or taking in a beautiful morning sky from your private balcony, a villa offers everything from spectacular views to a kitchen open whenever you desire. Roof Top Yoga – Or any other activity you desire. Many holiday villas offer a roof-top sala and perhaps even a barbeque and dining area. Morning Coffee – Is there anything more comfortable, more relaxing, more serene than a quiet cup of morning tea or coffee without a full-day’s to-do list waiting for you? 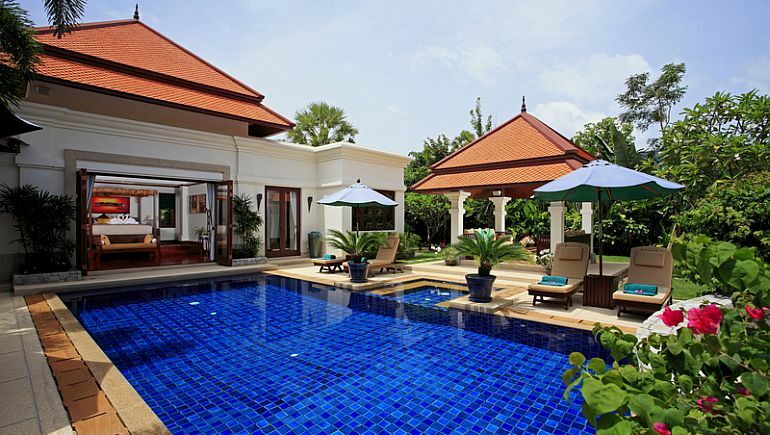 Villas offer many spots that offer the perfect spot to pause and enjoy your holiday. Breakfast with the family – In today’s hectic world, it’s not easy to find truly relaxing moments to enjoy with your wife and kids. A rental villa naturally starts your days together, as you converge for the morning meal and plan the day’s activities. Your own private pool! Among the many frustrations of hotel pools, none ranks higher than finding a lounge chair in a decent spot. Enjoy your own chairs, perhaps with a cooler of drinks or at worst a short walk to the kitchen. Villa pools offer hours of enjoyment in an elegant setting you’ll never forget. Afternoon Naps – Some vacations aren’t truly relaxing until you’ve found time for a lazy afternoon nap. Holiday villas provides many secluded spots to steal away for some quiet time. Pool side dinner – The WOW factor is high when it comes to evenings around the pool. Whether it’s cocktails or outdoor dining, being pool-side adds a heavenly touch to the evening. Sunset Cocktails – Not just pool side, but roof-top, or a private balcony – it’s your villa, you pick the spot to enjoy the view and relax. Late-night swim – Hotel security will be sure to keep an eye out for anyone breaking the rules. At your own villa, there are no pool hours, and there are no rules for your late-night swim! Midnight snacks – Does it get more comfortable than finding that perfect snack for you late-night craving. Share the moment and a laugh, add in a charming setting, and it’s yet another hard-to-forget moment.